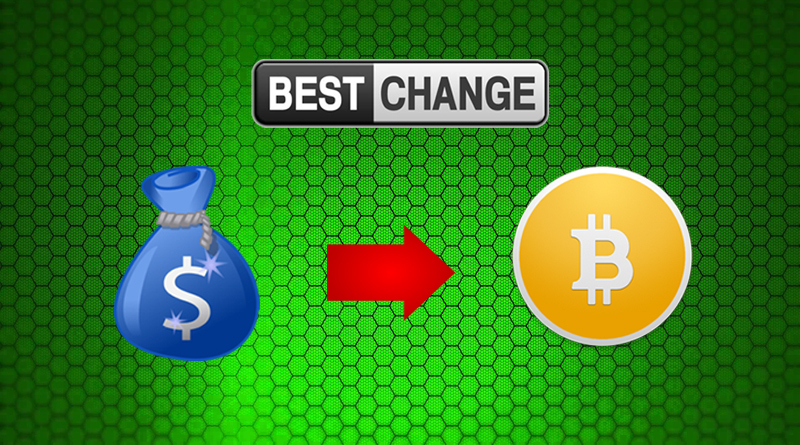 Buy Bitcoin with bestchange is a portal of all active exchanges that involves bitcoin. 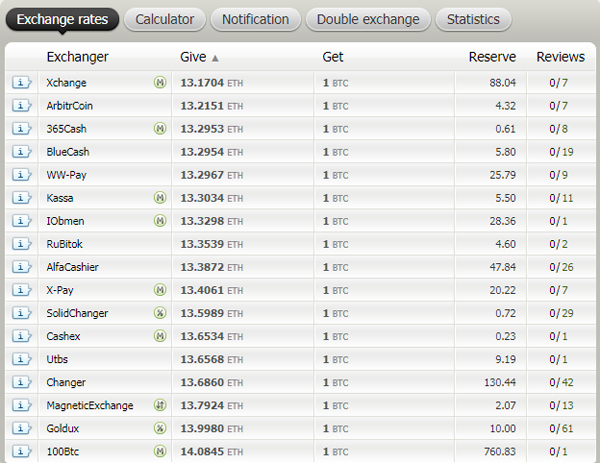 All these ex-changers are active and paying their members that buy or exchange their money for bitcoin. Bestchange ensures members to get the most out of their money. Results in members query lets the members chose which exchange site to use. Every site’s rate is different from each other, it up to the member which site to chose to make the transaction. 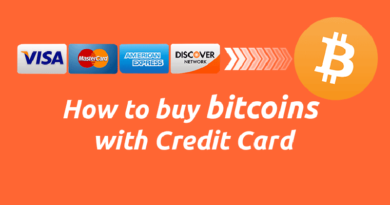 There are many option to buy or exchange your money into bitcoin. 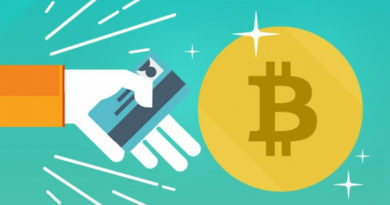 Members can also exchange other cryptocurrecy to bitcoin. 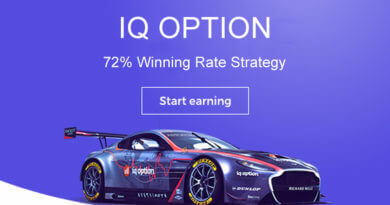 Exchange altcoins easily and quick. 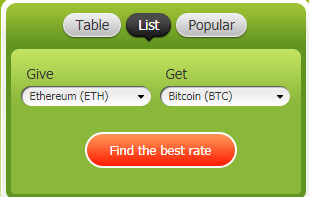 Just put the desired exchange and click find the best rate. List of exchanges will appear as a result, members only need to chose what he wants to use. Ethereum. litecoin. monero, ripple, dogecoin, namecoin, peercoin, dash and zcash can be exchange into bitcoin. 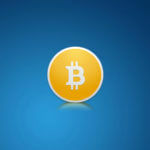 Members can also buy or exchange their bitcoin with altcoins mention above. Transaction are instant after a buyer initiate the trade, usually takes a couple of minute to complete the trade. 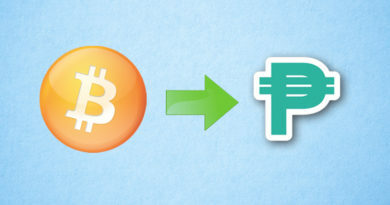 Members can also use online payment system such as paypal, payza payeer, okpay, perfect money to buy bitcoin. 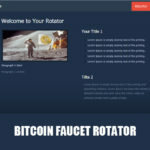 Same as buying bitcoin with other altcoin, a members just put the necessary information about the exchange and chose the website to make the transaction. Members can also exchange USD for RUR and Euro of vice versa. Money transfer can also be done here by Western Union, moneygram, ria, unstream and goldencrown. Members can either buy or sell other cryptocurrency and directly withdraw their money using these options. Bestchange is a great way to buy and sell your bitcoin. They offer a lot of ways and a lot of sites to do it. 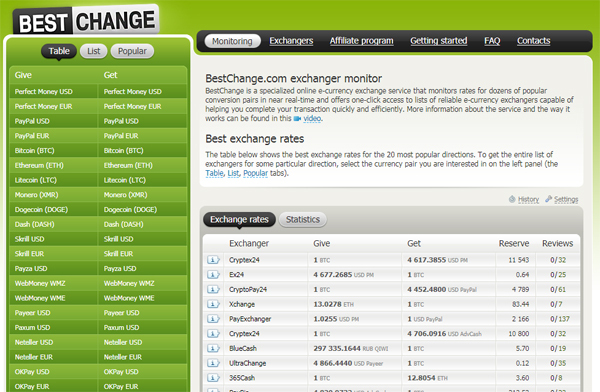 Online and active since 2013, Bestchange is among the most reliable site, dealing with bitcoin buying, selling and trading.